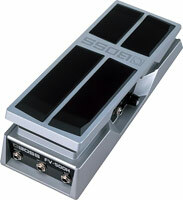 A remarkable new collection of top-quality, custom sounds was created for the DR-880. But we didn’t stop there; some of the most famous sounds from our renowned SRX library were added to the DR-880’s sound-set, as well as electric and synth bass sounds. From rich, sparkling studio drums and deep-dish electronic kits to standard and exotic percussion instruments, a world of rhythm and groove is at your fingertips. 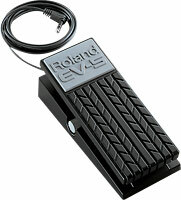 Guitar and bass players can join the action by plugging directly into the DR-880’s Guitar/Bass Input jack. Guitarists can play through the built-in COSM Drive/Amp models, and multi-effects such as chorus/flanger/phaser, delay, and reverb. For acoustic guitar, the DR-880 offers an Acoustic Processor, chorus, and reverb. For bass players, the compressor/limiter, chorus/flanger/phaser, delay, and COSM bass amp models will help you cook up extra-tasty bass lines. You can get microscopic with the DR-880, but you also have the option of taking the simple route with its three EZ Compose buttons on the front panel, which allow original patterns to be constructed without note-by-note programming hassles. Using the Pattern mode, you can select and combine pre-programmed phrase combinations to create new patterns. Press the Chord Progression button to select chord-progression templates. With the Fill-In button, you can select phrases from the Fill-In library, and insert them into the pattern. The library contains a variety of phrases, ranging from simple fills to bombastic breaks. Play through headphones or route your signal from the DR-880 directly to your choice of recording input or amplification, including outboard guitar amps. Quick output adjustments can be made in the Output Select mode to facilitate proper connection to the outside world. Two individual Outs allow independent output of backing tracks and guitars, or independent output of kick and snare. 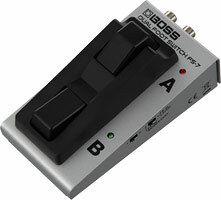 The DR-880 has two stereo footswitch/controller inputs; a maximum of four footswitches can be connected using stereo 1/4" cables (sold separately). 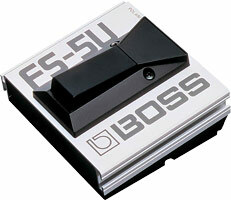 One of the footswitch/controller jacks supports expression pedal input, so you can connect an EV-5 (sold separately) to control guitar volume, or play wah effects. The DR-880 also has a S/PDIF digital out and a USB port for MIDI interfacing and SMF Data import. Take your grooves even deeper with the Groove Modify feature, which applies various groove and triplet feels to your patterns. Simply select the templates that are included, and inject realistic feels to static patterns. Ghost notes can also be added automatically by selecting the ghost-note phrases that are preset in the DR-880.